There are some popular Affiliate Marketplaces on the internet. 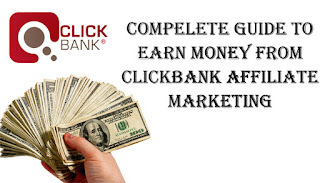 Clickbank is one of those famous affiliate marketplaces. Amazon affiliates, CJ, Shareasale are the other well-known affiliate marketplaces. In this article, we are going to discuss how to make money Clickbank. You can see there are thousands of affiliate products on Clickbank. You can choose any of these products and promote them. You don’t need any money to join here. It’s 100% free for everyone. If someone buys any products from Clickbank through your referral link, you will receive a 10-70% commission from its price. Assume once you refer 10 people for 50$ product and which they are paying 50% commission, now you have already made 250$. This is the power of affiliate marketing. People are asking whether they can promote those products directly from the owner’s website. But the problem is you need to sign up separately for every product. Once follow this method you can make more money. But you will be faced with many problems when receiving payments. Sometimes they will not allow their payments for some popular e-wallets. Clickbank pays you through different payment methods. The default minimum payout of Clickbank is 100$. But either you can select payout 10-10000$. Clickbank allows you to select a lot of products in different niches. For every niche, there are hundreds of products. In the early stage, you can easily select some popular products to promote. Use the ‘Sort’ option to select popular products at different prices. Once you click ‘promote’ button, you will have to enter your Clickbank nickname. After that, you will see your product related to hoplink. You should use this hoplink to promote your product. Use Bit.ly shorten your hoplink. You can now share your short bit.ly link in social media sites or any other places. When people use your link to buy Clickbank products, you will receive a commission from their every payment. How to Promote Clickbank Products? This is a common problem that everybody asking. The best method of promoting a Clickbank product is via a blog. If you have a blog for any specific niche, you can select niche related products to promote on your blog. I recommend you to write articles for every product and publish them after doing keyword research. This is the best way in every affiliate marketing campaign. But some bloggers drive targeted paid traffic to their product review and get sales. This is another good way once you can pay for Facebook ads or google ads. You can use facebook, twitter, google plus, and LinkedIn to promote your products. But you need to be active on those social media sites and try to get more followers. Facebook groups, facebook pages, twitter profiles with more followers and LinkedIn groups are the ideal locations to promote your products. As well as youtube is a great platform for affiliate marketers. 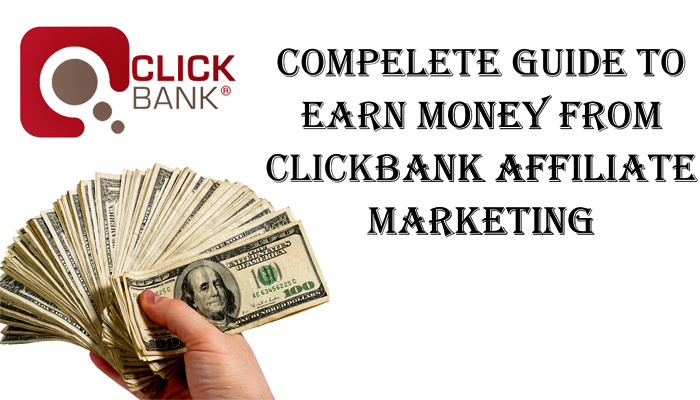 If you love to make a passive income with affiliate marketing, you definitely join Clickbank. It’s really easy to join and work on there. When you are getting sales you can use paid advertising to do this process very easy. Try to do affiliate marketing with blogging. Find some best ways to promote your affiliate products.